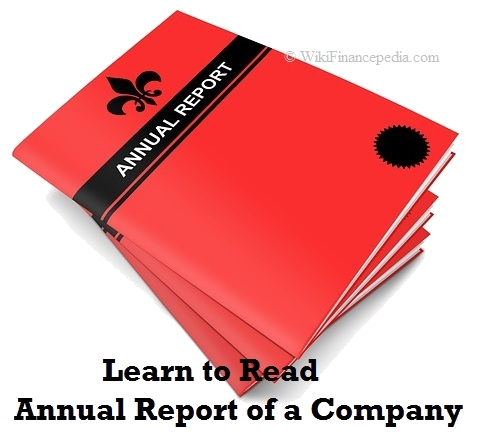 How to Analyze and Read the Annual Report of a Company? 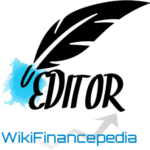 Home » Finance » Financial Advisor » Accounting » How to Analyze and Read the Annual Report of a Company for Financial Analysis? How to Analyze and Read the Annual Report of a Company for Financial Analysis? Every company is required by the SEC (Securities and Exchange Commission) to provide annual reports to shareholders and the general public. These reports contain important financial information, as well as summaries of the progress of the companies by the CEO, Board members, etc. an investor can use annual reports to decide whether or not. Here I’m going to buy stock in that company based on annual report of the company like manufacturing company, small company, corporate company or public limited company. Based on the annual report of a company and with ratio analysis, you can take your investment decision. Here we will learn and understand how to read and analyze the company’s financial report or accounting reports as a part of fundamental analysis to make the strategic and right decision on selling or buying the stocks of the company. There are basically two ways to obtain an annual report of a company. The first is to call the investor relations department of a company and requested an annual report will be sent. These annual reports and magazines and prepared very professionally. Normally if you go to the website of the company that is investigating share a link to Investor Relations and then you can fill up an online form with your name and address to receive an annual report. Review the components of an annual report. Usually annual reports follow a standard format that will allow you to read the sections that are of most interest to you. The summary of financial reporting patterns of growth and no growth in revenue and earnings of the company are described for a period of 10 years. Discussion and analysis section in an annual report that provides the management team an opportunity to report on the financial trends of the company. A list of directors and other authorities of a company will also show up in an annual report. This is only a brief summary of the basic operations of the company, what the company does, where is the headquarter of the company, what businesses are incorporated under company, companies contact details, which sector does the company belongs, who are the top executives of the company, etc. It’s a letter written by the President or CEO of the company, and most of the time the letters speak of financial successes of the year letter. This letter may also mention major contracts or partnerships the company has formed and give a general analysis of corporate earnings and sales. Be careful when reading the letter from the President, because the business may be running down, but reading the Charter can get the impression that all is well! Before a company can distribute its annual public report, the financial information in the annual report must be checked for accuracy so shareholders are not misled. That is the work of the independent auditor. It will seek firm evidence to support the financial information in the income statement, balance sheet, etc. and then you write a letter if all is well. Results in the annual report of a company shows net income or net loss for that year. It also shows net sales, the cost of sales and expenses of a company. Income statements from different years can be compared to see if the company is improving financially. I like to compare the statements of income for the last 5 years to see if increasing net sales and net income of a company. The balance sheet shows the company assets and liabilities. Assets are listed in order of liquidity. Faster an asset is converted into cash; the more will be its liquidity. So it is effective at the top of the list of assets because it is the most liquid asset. Assets can view items such as receivable accounts (the amount of money owed to the company), property and equipment and other associations. In the list of liabilities, you can see items such as income taxes payable, accounts payable (the amount the company owes to other companies) and long-term debt. Business how money is made, shown in the cash flow statement is moving in the business. The cash flow statement also shows if the business was able to increase its cash by the year or not. Usually in the back of the annual report of a company, found the risk associated with the business. Read all kinds of things that can affect the business is depressing, especially if you own shares in that company. But to get an idea of ​​what can affect a business, reading the risks section of the annual report is the best way to go. » Currently Reading: How to Analyze and Read the Annual Report of a Company for Financial Analysis? » e-Learning Chapter 4: What are Qualitative Factors in Decision Making on Company’s Performance? » e-Learning Chapter 11: Fundamental Analysis Quiz – Basics of Fundamental Analysis for Beginners.